TNT Packages are Not Eligible for Bonus Bucks or Vet Discounts. EnviroSpec offers as many configurations as there are imaginations.. 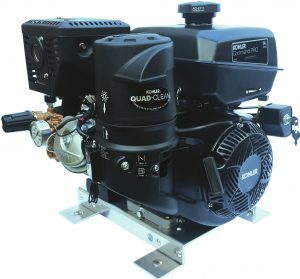 The following list includes the industry’s most popular and durable cold water pressure washer configurations. If you are looking for something different, then simply email dang@envirospec.com and we will put a quote together for you. 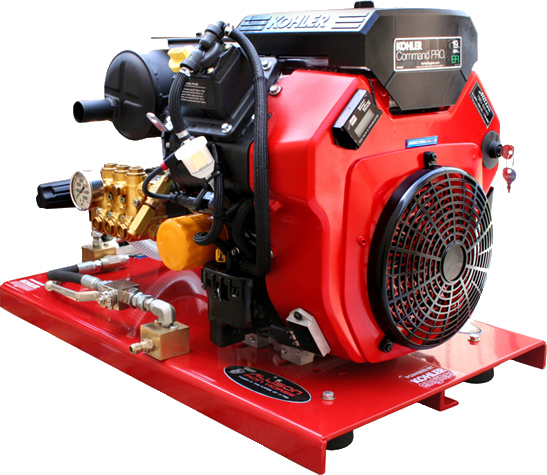 Includes: Engine, Pump, Unloader, Safety Pressure Relief Valve, Thermal Relief Valve, Water Filter 10″ x 16″ Aluminum Base Plate, Shock Absorbing Feet and all Mounting and Installation Hardware to complete pressure washer set-up. * The aluminum base plate for this engine will need to be drilled. Since aluminum is soft metal this should take no more that 5-minutes. Use a 3/8 bit and 5/16 bolts. * The ID (idle down) sytsem will return the engine to idle when the trigger gun is released. This configuration requires a pressure switch (included) on the pump in order to activate the idle down solenoid. 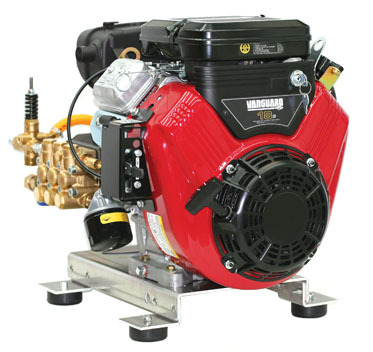 Easy installation that will save you hundreds of dollars in fuel cost over a 1-year period.